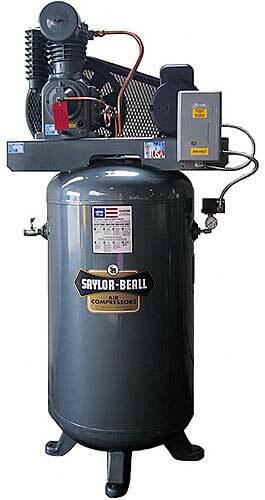 Saylor Beall VT-735-80 Air Compressor has rugged cast-iron cylinder head, and is a 3 phase tank mounted vertical unit. Includes mag starter. 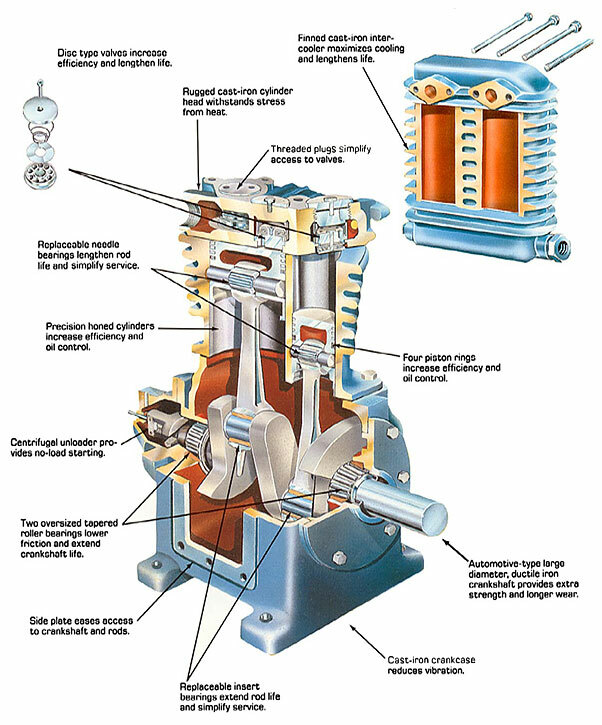 Saylor Beall VT-735-80 Air Compressor has rugged cast-iron cylinder head, which withstands stress from heat. This Saylor Beall air compressor is a single phase tank mounted vertical unit. It also has finned cast-iron intercooler which maximizes cooling and lengthens life; cast iron crankcase reduces vibration.